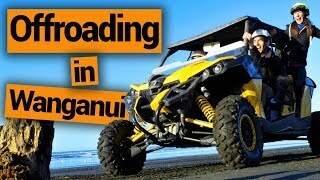 Where to go Quad Biking in New Zealand. Quad bikes are a staple of New Zealand culture. They are the transport method of choice when Kiwis are working on their farming stations. What’s more, quad biking just happens to be an awesome way to experience the great outdoors! Quad biking in New Zealand means you can get to all those hard-to-reach places over a vast variety of gnarly terrain. It helps that it’s ridiculously fun too! 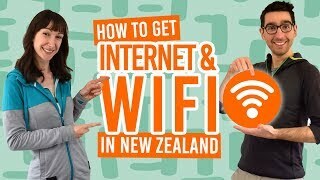 So where can you go quad biking in New Zealand? Find out in this list of excellent places to quad bike in New Zealand! You’ll find a real mix of quad biking tours in New Zealand. Some a perfect for the whole family, taking you through fun twists and turns on safe terrain and bikes, while other tours are especially designed for adult drivers to blast through some extreme landscape. Mud, streams, forest, mountains, beach and glacier valleys: it call all be experienced on New Zealand quad biking tours! Being the “Adventure Capital”, Queenstown spoils you for choice with quad bike tours. Choose from an adventure up Queenstown Hill with Nomad Safaris for outstanding views to go with your adventure or join Off Road Adventures for their huge off roading offering over 11,000 acres of land! Quad bike, dirt bike, purpose-built tracks, mud and water: it can all be found in Queenstown. Just 20 minutes out of Kaikoura is the Glenstrae Farm tucked between the mind-blowing Kaikoura mountain ranges and the rugged coastline. Explore this hillside sheep farm on a journey through native bush, open hilltops with picture-perfect views and along the coast where you’ll even get the opportunity to see seals. Book your quad bike tour and transfer from Christchurch here. Check out more experiences in Kaikoura in our 10 Kaikoura Must-Dos. Location: Kaikoura, Canterbury, South Island. Explore the stunning sights and epic terrain of the Hanmer Basin on a Hanmer Springs quad biking tour! After training from your guide, you’ll go on a journey through a high country station through a mix of terrain: bush, mountain, paddocks and lots and lots of water! Book your quad bike tour with the Hanmer Springs Adventure Centre here. 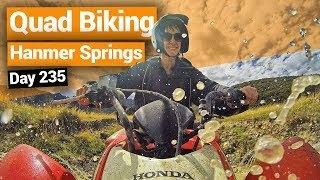 Check out more things to do in Hanmer Springs while you’re there. Location: Hanmer Springs, Canterbury, South Island. On Yer Bike arguably makes Greymouth the off-roading capital of New Zealand. In the off-roading complex just outside of the West Coast city, choose from self-driven 4×4 buggies or quad bikes. Then take on over 16km of purpose-built tracks taking you through dense native forest, through more mud than you can imagine and even large streams! Book your quad bike tour with On Yer Bike here. See more things to do in Greymouth in our 5 Greymouth Must-Dos. Location: Greymouth, West Coast, South Island. A great option for children over 9 years old and adults alike, Taupo is an awesome destination to experience quad biking in New Zealand. Quad biking in Taupo is all about blasting through the native forest and even heading up to a stunning viewpoint. There’s plenty of terrain to cover with twists and turns. More importantly, it can be muddy as hell! Don’t miss these other awesome activities in Taupo! 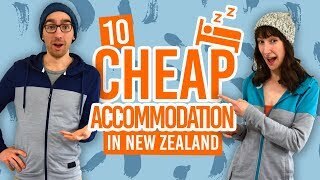 Many people forget that there are tons of adventures to be had around New Zealand’s capital city. It’s not all about the city life! Just 45 minutes out of Wellington is the Rimutaka Forest Park with all kinds of adventurous terrain. Quad bike with your guide up to 900m in the mountains all the way down to sea level as you cover around 20km of coastline. It’s a full-day experience not to be missed! Location: Wainuiomata, Wellington, North Island. Blast around the flanks of Mt Ngongotaha, its farmland and forest with the Adventure Playground in Rotorua. Choose from quad bikes or other self-drive 4×4 vehicles to get you through the vast terrain overlooking Lake Rotorua. Choose from a half-hour or 1 hour tour giving you plenty of time for more Rotorua activities in your day! To experience some different off-roading terrain in New Zealand, don’t miss a tour with 4 Track Adventures in Auckland. Ride along long-stretching sandy beaches or on purpose-built forest tracks in the sunny coast of South Head, just one hour north of Auckland city centre. See more adventure experiences in Auckland right here. Location: South Head, Auckland, North Island. Experience the true New Zealand countryside with Ruapehu Adventure Rides. Located on the edge of the Tongariro National Park, this hilltop quad biking experience has excellent views of the North Island volcanoes, as well as plenty of gnarly terrain to tackle. 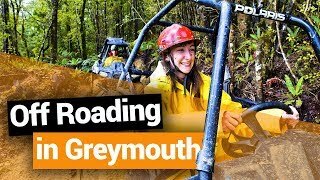 Drive through mud, water, hills and forest on this North Island adventure ride! Location: Raurimu, Manawatu-Wanganui, North Island.